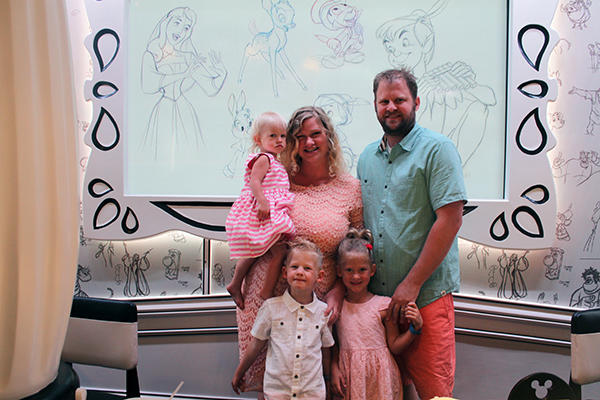 Animator’s Palate is easily the most versatile restaurant found on Disney cruise ships, hosting characters for meet and greets, iconic character breakfasts and even Mickey Mouse himself! While every ship has a character dining experience; Rapunzel on the Magic, Tiana on the Wonder, and a breakfast/brunch restaurant located centrally on Deck 3 plus the buffet at Cabana’s, Animator’s Palate is totally unique and offers something new every single time you walk through the doors. Disney’s extraordinary rotational dining service means that you get to eat in a new restaurant each night of your cruise with a set table, servers and restaurant. 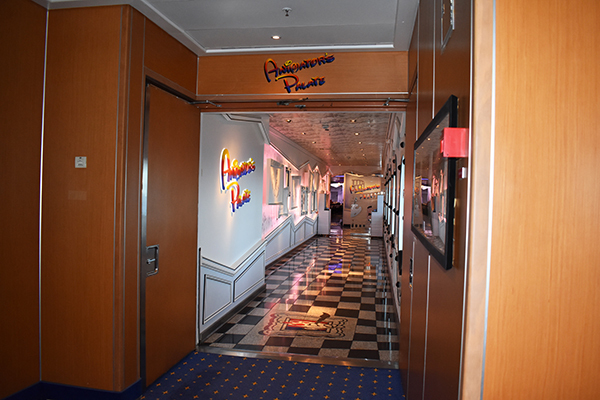 Animator’s Palate fits into this rotation and is a much anticipated dining experience during the course of our cruise. 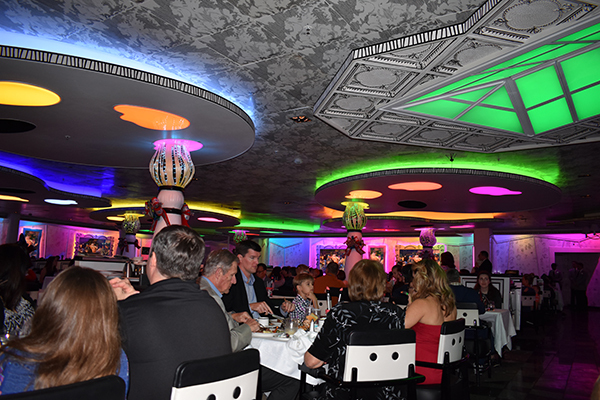 The restaurant is colorful and vibrant with magically animated picture frames lining the walls displaying scenes from your favorite Disney movies and entertaining guests all through dinner. The menu fare changes each night you dine, and doesn’t serve a specific type of regional food. You can expect a variety of pasta and protein. Everything is themed artistically, with paintbrushes and paint palates and bursts of color all over. The butter knife is even a paintbrush! For dessert, order your children a cupcake palate that comes with three cupcakes and three toppings to choose from including frosting and sprinkles to make your own special creation. One evening our kids were racing out to get to an event at the Kids Club they didn’t want to miss. Due to the urgency they didn’t get a chance to finish their cupcake works of art. Our Maitre D boxed them up without hesitation for us to take back to our rooms and finish later. Except, I dropped all three plates when I tripped on the stairs heading back to our room. I knew our children would be devastated! Gabriel asked Geffrey if we could get three more and before he finished the sentence everything was made right again! 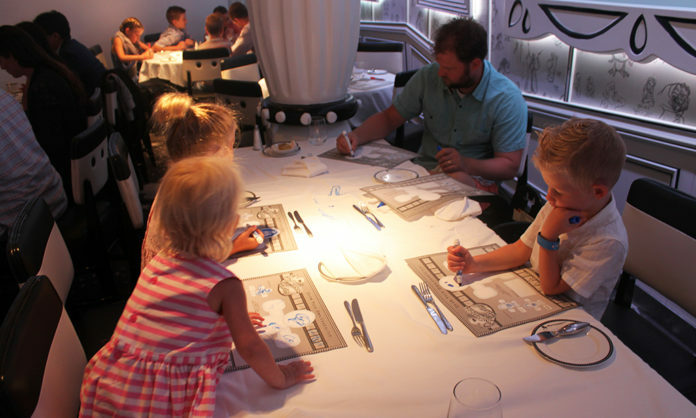 During one of your meals at Animator’s Palate , you’ll get a chance to become an artist yourself. You’ll want to arrive on time, and you’ll get the chance to create your very own character. The restaurant will provide you with a character template, but as long as you stay within the lines you can design anything you want. While you eat, Mickey Mouse will take all the drawings and create a never before seen original movie that only you get to see aboard your cruise! This restaurant will also host some of your favorite friends during a ticketed character breakfast! 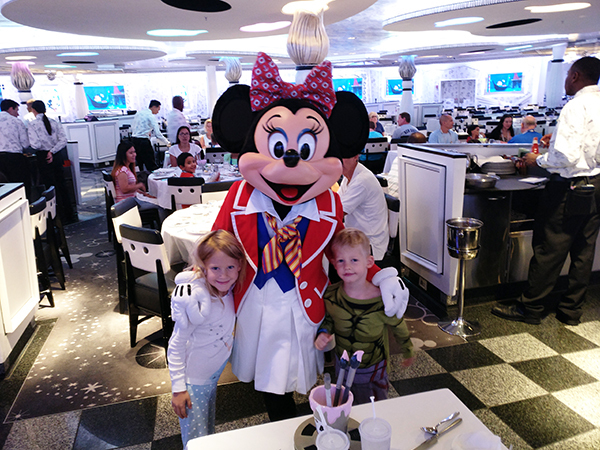 On the Disney Magic we met with the fab five and loved seeing Mickey so bright and early in our pj’s! 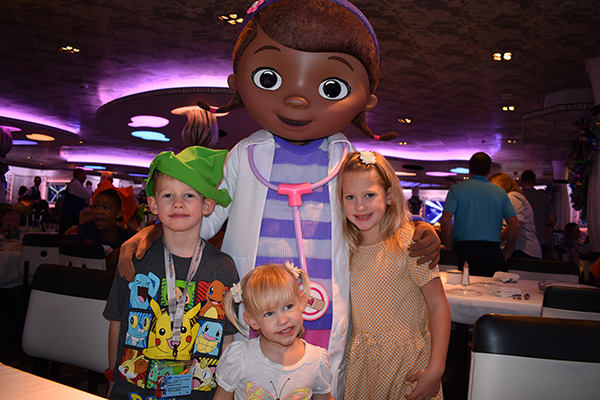 On the Disney Wonder and the Disney Fantasy we got to dine with our favorite Disney Junior friends! Our daughter was thrilled to get to see Sophia the First, she could hardly wait her turn at our table and give other kids a chance. Animator’s Palate also doubles as a home away from home for the Frozen sisters! The lights change to a light blue, the restaurant is covered in icicles, and Anna, Elsa and Olaf welcome all little princes and princesses to visit in these chambers! 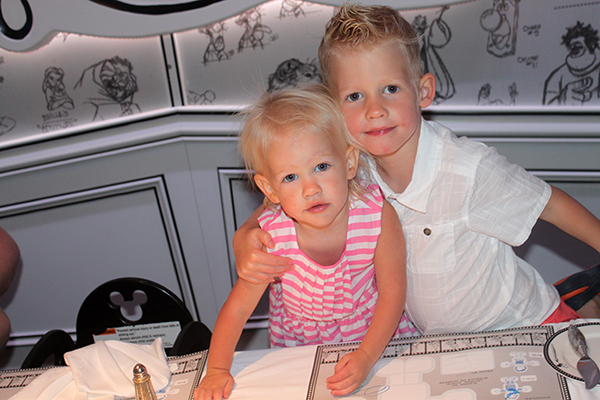 ► For Kids: Everything on a Disney cruise is geared towards the magical. 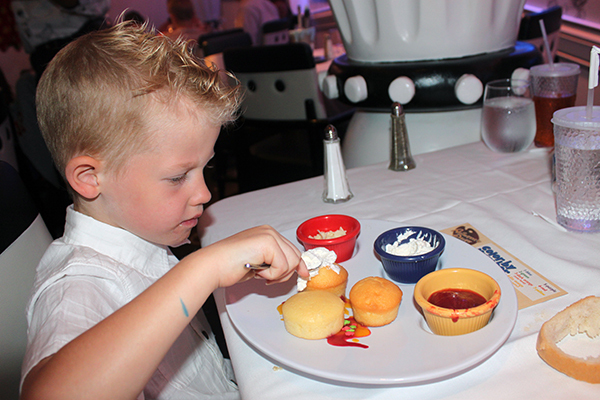 Animator’s Palate is no exception and it’s one of the best restaurants Disney has to offer on the cruise. Little ones will love the theming, watching for their favorite characters to appear on screen, and of course becoming mini animators! Do you have a favorite Disney Dining experience? 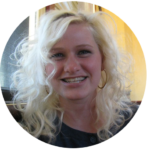 On a Disney Cruise or otherwise? We love the excitement that Disney offers when dining at any of their restaurants and have a goal of visiting every single restaurant at Walt Disney World! 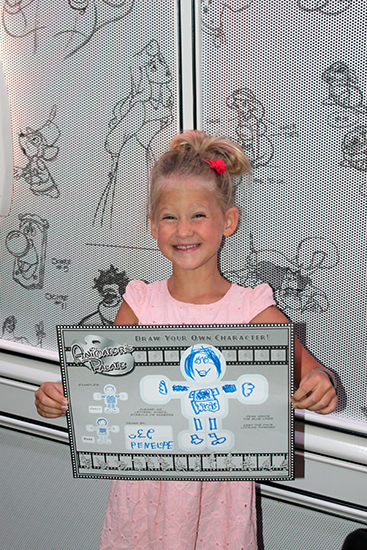 ► Nap-Time Version: Animator’s Palate is one of the best restaurants when it comes to dining aboard a Disney Cruise. Splashes of color animate the restaurant as your drawings come to life before your eyes! We’ve got a complete Destination Guide for you to peruse while you plan your Disney Cruise vacation. Details on excursions, ports of call, and swimming at sea!